Doing a Whole30 in March? This year, skip the green beer and make this nutrient-dense, vibrant and tasty Whole30 St. Patrick’s Day recipe. 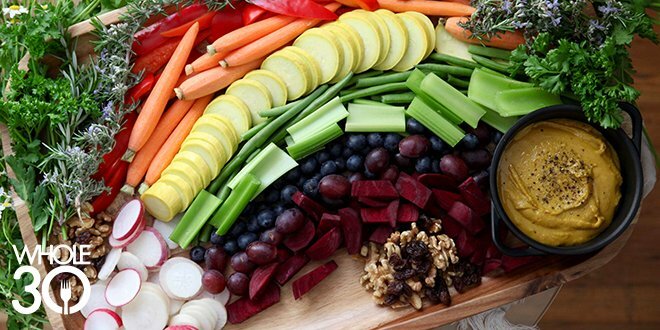 Our in-house recipe creative Sarah Steffens created this shareable dish: Rainbow Veggies and a Pot of Gold. The veggie dip gets it’s gorgeous gold color from turmeric, a warm spice that’s prized for it’s anti-inflammatory properties. Blended with tahini and lemon, this fresh, creamy dipping sauce is great with raw veggies and also works well as a topping for chicken or salmon. Get to chopping those veggies, and enjoy! If you make this recipe, share photos on Instagram and tag us @whole30 so we can see. 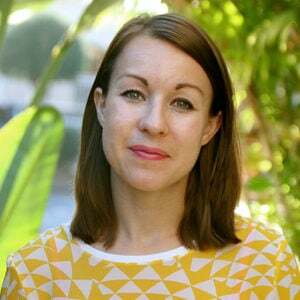 Garnishes of your choice: Sarah used bunches of small flowers and sprigs of parsley and rosemary, as well as clusters of nuts and dried fruit to achieve this look. Work with what you have on hand! 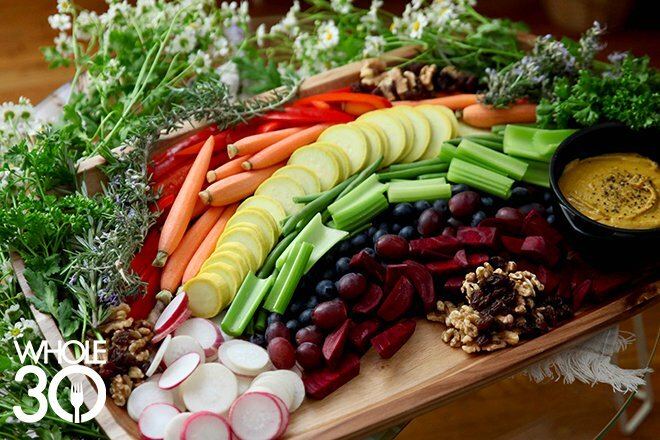 ARRANGE the fruits and veggies on a platter or cutting board. Group them by color, in the shape of a rainbow, as shown in the photo. MIX all of the ingredients for the dip in a small bowl and scrape with a baker’s spatula into a small black bowl to serve on your rainbow board. Note: Sarah found this small cast iron pot at Target. Here’s a similar one via Amazon. Please note, some links in this post are affiliate links, meaning we make a small commission on items purchased via our link. Thank you for supporting our Whole30 partners!